Anyone who’s ever underestimated the strength of their wasabi before dabbing it on a piece of sushi knows that the little green paste can sometime pack a painful punch. Now, researchers have unraveled why wasabi can be such an irritant and hope this information can help lead to better pain medications in the future. When wasabi strikes, it’s detected by a protein receptor known as TRPA1. The mechanism has been mapped for the first time, leading researchers to nickname it “the wasabi receptor.” They hope that understanding the way this receptor works can help us better unravel the processes that cause pain and use this knowledge to help alleviate pain in the future. Despite the fact that wasabi has been used for medicinal purposes for over 1,000 years, it wasn’t until the recent development of cryo-electron microscopy that researchers have finally been able map TRP channels, findings that were recently published in the journal Nature. It’s interesting to think that understanding what makes wasabi burn so bad could help us develop medications to reduce pain. 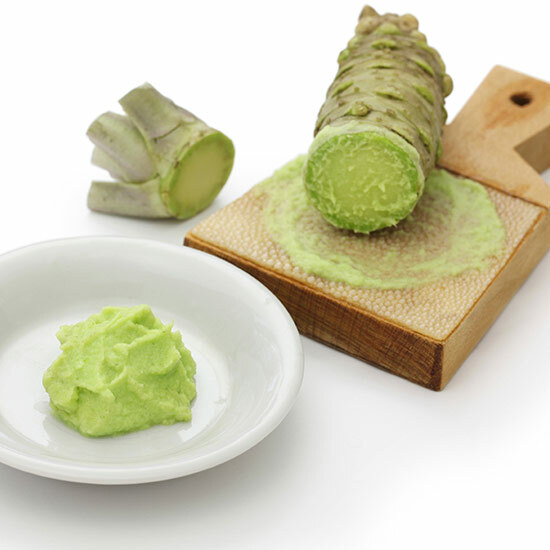 Though some of us are definitely wondering: What about making some even more potent wasabi? We can take it.